Senior Congress leader Mallikarjun Kharge on Sunday said that public pressure propelled Siddaramaiah to contest Karnataka assembly election from Badami constituency along with Chamundeshwari seat. "People are demanding his representation from this area, Badami, so under pressure, he has accepted this and High Command agreed on this. 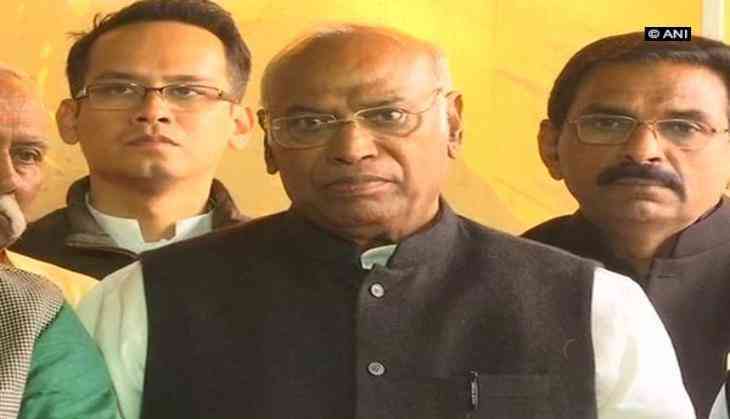 As per the direction of the High Command, he is contesting in two places," Kharge told ANI. "Modi Ji also contested election from two seats," he added. In the last general elections, Prime Minister Narendra Modi contested two constituencies -Varanasi and Vadodara. After Aamir Khan's Dangal and Salman Khan's Bajrangi Bhaijaan, Baahubali 2 to release in China, release date announced! READ NEXT >> After Aamir Khan's Dangal and Salman Khan's Bajrangi Bhaijaan, Baahubali 2 to release in China, release date announced!